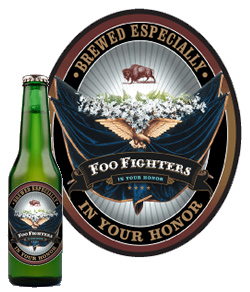 What's New at Stand Out Promotions - Custom Beer Labels! 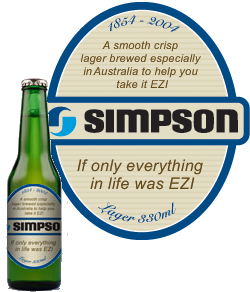 The ability to have your own company logo and message on custom beer is a fantastic new concept, why hand your customers any old beer brand and advertise for them, when you can give them a beer with your logo on it, and it tastes fantastic, what a talking point!!!! 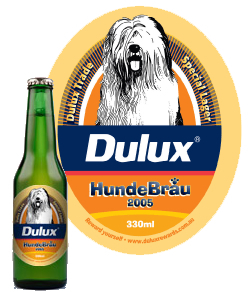 We have previously tried probably, well ... too many beers, and this beer is definately one of the best that we have ever had, we can send you a sample to make sure you like them before your order proceeds. We will fully design the label artwork for you, your logo will never look more delicious. Imagine the response when you deliver a cold carton or 6 pack, to your customers premises at 5 o’clock Friday afternoon, what a great way to say Thanks, and advertise your company at the same time. This also may be the only way to get tax deductible beer, although run this by your accountant first. P.S. i forgot to mention, this is actually an award winning beer, (National Festival of Beers 2002), and is the creation of one of Australasia’s top brewers, Brian Watson. As well as custom beer labels and beer bottles, we also have beer mugs, beer steins, beer glasses, beer coolers and stubby holders available.